Unique Accents interior design and home decor at Monarch Bay Plaza shopping center in Dana Point, CA. Unique Accents was established in 1997 as an interior design and home decor showroom in Laguna Hills. We moved to Laguna Niguel in 2000, and in 2010 added clothing and jewelry to our lines. 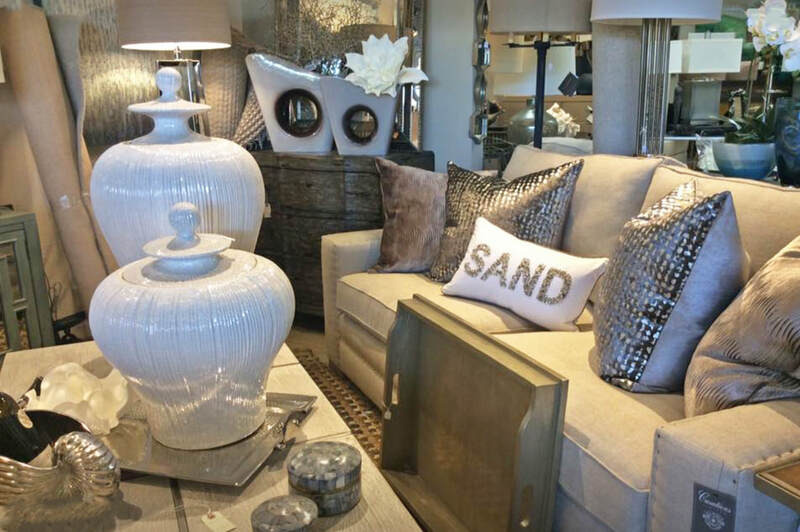 Our newest showroom is now at Monarch Bay Plaza in Dana Point. We offer interior design services, custom furniture, Hunter Douglas window shades, and a variety of window treatments, home decor, gifts, clothing, and jewelry. Unique Accents is the exclusive dealer for Brighton Collectibles, Uno de 50, Tat2 and many more fine lines. Interior Designer expands her portfolio of offerings to include Fashion & Accessories for great retail therapy!